"the best financial planners in Melbourne"
Need Financial Advice in Melbourne? At Verse, we help people live the best life they can with the financial resources they’ve got. This creates more time, freedom and opportunities to have experiences that make them happy. We manage your entire financial life, not just your investments. We’re not owned by an institution, not aligned to financial products and we don’t take commissions. We’re guessing you’re here to find the right adviser and team to help get you wherever you want to go. To get a sense for how we do things at Verse and to meet our founder, Corey Wastle, you’ll appreciate the below video. Scroll below to find out more about us and our founder, Corey Wastle. If you’re ready to take the next step and have a quick chat to further explore the possibility of us working together, just follow the link below. At Verse, we pride ourselves on providing what we call ‘great advice’. It’s personalised, purposeful and delivers outcomes based on what you value most in life. Importantly, it places you and your goals, rather than financial products, at the centre of every decision we make. To understand the impact great advice makes to our clients, I encourage you to scroll below and check out some of our Client Testimonials. You might also appreciate this video. Corey shares ‘5 Mistakes People Make with Money’ to help you avoid these common traps and in-turn, make better progress and achieve more. I’m a Financial Adviser and the founder of Verse Wealth. I started Verse to help people align financial decision making with what’s most important to them in life. In short, I help our clients use money as a vehicle to make them truly happy. I’m a CERTIFIED FINANCIAL PLANNER® with the Financial Planning Association and in 2016 became a Specialist Self-Managed Super Fund Advisor with the SMSF Association of Australia. I have both a Bachelor of Business and Commerce as well as a Bachelor of Communications with Monash University. I am a member of the Financial planning Association (FPA). If you want to get to know me better, you might appreciate this podcast. It gives you a really good sense for why I started Verse, how I think about advice and what’s most important to me when working with clients. To see what some of our other clients have to say about the experience of working with us, we encourage you to head on over to Adviser Ratings (it’s like the ‘TripAdvisor’ of Financial Planners). ​If you’d like to have a short, no-pressure chat for us to better get to know each other and for you to understand whether we’re the right team for you to work with, you can book a call with us below. Michael is a founding partner at Flinders Wealth, a Financial Planning practice located in Melbourne and Mornington. For over a decade Michael has helped aspirational and financially successful clients make smart choices with their money, get their financial house in order and increase their wealth. Michael will put together a tailored Financial Roadmap based on your personal situation – a step by step list of actions items that will give you confidence you are making smart financial decisions. Having one person leading a team that coordinates, consolidates and implements a game plan for your finances makes your life simpler and allows you to focus your time on things that are more important to you. Michael is a CERTIFIED FINANCIAL PLANNER® and holds a Bachelor of Business & Commerce and Graduate Diploma of Applied Finance. He is a member of the Financial Planning Association of Australia, assists in the delivery of the Masters level CFP® Program and is a CFP® subject assessor. As a leading industry voice Michael has been featured in media outlets such as: The Age, Sydney Morning Herald, Professional Planner, Vice Magazine and RMIT Radio. Chris is a Director & Private Client Adviser at Hewison Private Wealth. With over 20 years at the firm, Chris has the experience and dedication to help you secure your financial future. Chris is a strategic financial planning expert who possesses a strong background in superannuation and SMSF strategies as well as investment markets, financial management and estate planning. Apart from his client advisory and management role, Chris is responsible for the company’s continuing professional development program and is a member of the Company’s Board of Management. Chris has a Bachelor of Business degree and a Diploma of Financial Planning. He has also awarded the Certified Practicing Accountant (Financial Planning Specialist) and the internationally recognised CERTIFIED FINANCIAL PLANNER® designation having completed the respective study programs. SMSF Adviser of the Year (winner): iFA Excellence Awards: 2015 and 2016. Chris is regularly quoted as a financial planning expert in the Australian Financial Review. And Hewison Private Wealth and Chris regularly host investor insight seminars – contact Hewison Private Wealth for details. "Our relationship with Chris has been a successful one, both financially and in the peace of mind he provides. We have every confidence in Hewison Private Wealth and have recommended the firm to friends and family members, and many of them are now HPW clients. We have not had one bad report. We are happy to recommend Hewison Private Wealth to any prospective client and we are confident that they can meet your needs." "I have been a client of Hewison Private Wealth since 1998 and have been completely satisfied with their advice, guidance and personal service. I have achieved consistent returns over this entire time and have been able to retire on a very generous pension." Wade Ritchie is a private client adviser with Shadforth. He has been providing financial planning advice since 2002 and moved to Melbourne in 2005 from Mackay, Queensland. Wade is a CERTIFIED FINANCIAL PLANNER® practitioner which is the highest qualification in the financial planning profession. He also holds the LRS® Life Risk Specialist designation, a Master of Personal Financial Planning, a Diploma of Financial Planning and, a Bachelor of Engineering (Mechanical) with first class honours. Wade has been named the top ranked adviser in Australia for 2012 in the prestigious AFR Smart Investor Top 50 Masterclass for Financial Planning. Wade was also named in the AFR Smart Investor Masterclass for Financial Planning in 2008 and 2010. His other achievements include a university medal for academic results in his Bachelor of Engineering and becoming a justice of the peace. Wade experiences great personal satisfaction from assisting clients to achieve what is important to them through the implementation of quality advice and the clear and precise communication of complicated topics. He specialises in the development of strategic comprehensive advice to executives and professionals in the areas of superannuation, taxation, wealth management, insurance, executive remuneration and retirement planning. Trent is one of the few independent financial planners in Australia and is the founder and director of Financial Planning Expert Pty Ltd. Trent is not affiliated with any financial institutions and prides himself on providing independent advice that is free of bias and influence. Trent is a CERTIFIED FINANCIAL PLANNER® (CFP®) with the Financial Planning Association of Australia (FPA) and also holds SMSF Specialist Advisor certification with the Self-Managed Super Fund Professionals’ Association of Australia (SPAA). Trent specialises in Self-Managed Superannuation Funds (SMSF’s), Estate Planning, Tax Strategies, Life Insurance, Retirement Planning and Investing. Trent is recognised as a financial advice expert and is regularly quoted in the media and has appeared on Today Tonight on Channel 7. 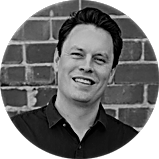 Trent is also passionate about maintaining a high level of industry education and holds a Bachelor of Business (Financial Planning) from RMIT and an Advanced Diploma in Financial Services (Financial Planning) from Deakin University. He is also completing a Master in Commerce (Financial Planning) and a Diploma of Share Trading and Investment. Paul Kearney is the founder and CEO of the award-winning Kearney Group, which has been providing holistic financial services since 1986. Paul holds a Bachelor of Commerce from the University of Melbourne, and is both a Certified Financial Planner and Certified Practicing Accountant. Under his leadership, the Kearney Group has been widely recognised for its commitment to professional excellence, client service and innovation in business. Most notable are the firm’s National Practice of the Year titles in 2014 and 2011, and its Victorian awards in 2008, 2010, 2012 and 2015. Paul was named Adviser of the Year in 2010 and the Financial Planning Association’s Best Practice Awards runner-up in 2013. Paul currently sits on Securitor Financial Group’s National Advisory Committee. He is a Director of renowned social enterprises, The Big Issue and Homes for Homes. Paul also extends pro-bono services to the non-profit women’s health organisation Ovarian Cancer Australia. Paul Moran is an Authorised Representative of Guardian Financial Planning and a CERTIFIED FINANCIAL PLANNER® practitioner. Paul has been involved in Financial Planning for 17 years, and has held roles as State Training Manager and Regional Manager with a major Bank and Executive Manager with a large public sector super fund. Paul commenced his private financial practice in 2001, and actively seeks out low cost, efficient investment structures for his clients. He offers to review his financial planning clients at least twice per year, and is pro-active in his advice. Paul is committed to public education and regularly presents at public seminars. 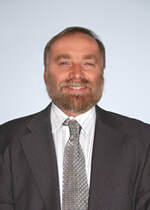 He is a senior lecturer with FINSIA and received the Practitioner Award in 2003. He is regularly quoted in the Financial Review, Melbourne Age and Sydney Morning Herald as well as a number of lifestyle magazines. Executive Director & Principal Adviser Jeff is an Executive Director and Principal Adviser of APW Partners and enjoys working with clients to help them manage and simplify their financial complexities. Jeff holds academic qualifications in economics, accounting, tax law, superannuation and financial planning. He was recognised as one of the top 50 financial advisers in Australia by the prestigious AFR Master class for five consecutive years from 2002 – 2006 and is an accredited SMSF Specialist Adviser (SSA). With a passion and fascination for the interplay of financial markets and government tax and retirement policies, Jeff has also written extensively for print media on financial matters and is an avid reader. Jeff’s knowledge and expertise has been acquired over many years. His experience is particularly relevant to affluent families and individuals who seek comprehensive and structured wealth management advice that integrates with their lifestyle goals and objectives. Jeff attained CFP status in 2000 and has been a member of CPA Australia and the Taxation Institute for over 25 years. Jeff is married to Ann with two adult children. Jeff enjoys snow skiing in winter and maintaining fitness throughout the year. Thabojan Rasiah is a highly rated financial adviser. Having entered the financial advice profession 18 years ago, he has been recognised as being one of the Top 50 Advisers in Australia by Wealth Professional in 2012 and by the Australian Financial Review's 2011 Smart Investor Masterclass. Most recently, in 2017 he was recognised as one of the 50 Most Influential Financial Advisers in Australia by Financial Standard. 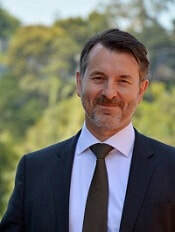 He appears on 3AW and ABC talk-back radio as a finance expert, writes a column in The Age/Sydney Morning Herald as well having written a monthly finance column for the national senior's newspaper, Fifty-Plus News. Thabojan is a Certified Financial Planner (CFP®), the internationally recognised and pre-eminent representation of professional Financial Planners around the world. He continues to serve on various committees at the Financial Planning Association of Australia (FPA) with a particular passion for raising the professionalism and education standards in financial advice. He is also a Fellow of the Financial Services Institute of Australasia (FINSIA). Prior to founding Rasiah Private Wealth Management, Thabojan worked with a number of boutique financial planning businesses as well as the most highly regarded large financial advice practice in the country for many years. He has therefore, enjoyed the experience of helping clientele from varied backgrounds from young wealth accumulators through to high net worth clients. In particular, Thabojan has developed specialist knowledge in providing advice to Medical Practitioners and Women in Transition. Mark is recognised as a CERTIFIED FINANCIAL PLANNER® practitioner. He has completed a Bachelor of applied mathematics and in addition to completing a Diploma of Financial Planning. 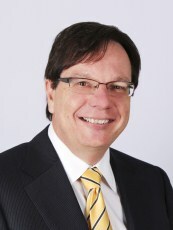 In 2010 Mark was recognised as one of the top 50 financial advisers in Australia by the AFR Smart Investor Masterclass. He has worked in the finance industry for almost two decades and during that time has encountered a variety of issues. This provides Mark with a wealth of experience from which he can draw upon to help clients achieve their financial goals.